On Thursday, January 30th, my class, Mrs. Toohey’s fourth grade, had their day in the garden. I was assigned to be a maintainer. This is the first time I have been assigned this task. As a maintainer, you have to pull up weeds and throw them away. We also have to pick up dead leaves and put them in the compost barrel with the grubs. I liked being a maintainer because I liked to use the hoe. With the hoe, I scraped up the weeds and tilled the garden soil. I even found a grub in the onion bed. I also used a shovel and dug up the roots of the weeds. I prefered to use the hoe over the shovel. I worked with John on the weeding of the onion bed. I was hot and sweaty but I really liked it. Adam’s grandparents helped us with supervising our maintaining chores. We worked great together. I hope I get to be a maintainer again. I look forward to the garden each month. 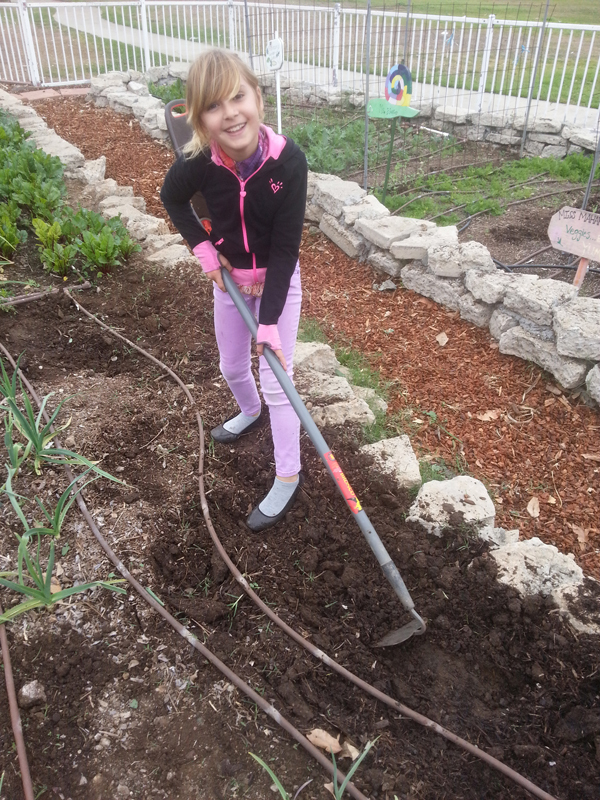 I like to be outside and to help make the TMA garden beautiful and healthy.